Jackson calls on CEO Jeff Bezos to create a board of directors and a workforce that looks more like America. His step is slow and a bit unsteady. His once powerful voice — a voice that gave hope to millions of African Americans — is now a gravelly whisper. His hands tremble slightly and his gaze, at times, is fixed on the horizon, as if looking at something we cannot see. But like all good politicians, the Rev. Jesse L. Jackson can summon an inner resolve, and shake off his age and illness. His trademark cadence and passion is reignited when he’s questioned about immigration, voter suppression, Obamacare, the NFL protests, and of course, President Donald Trump. Although he is living with Parkinson’s disease, Jackson, at 76, can still reel off distant dates, names and details gathered from a lifetime of achievement that has made him one of America’s most influential African-American voices. His return to Seattle last week is a reminder that his work here is not yet done, that our work as a nation is not yet done. Jackson’s vision for a more just America, one that lifts people from poverty through education and social investment, is as relevant today as it was 50 years ago in Selma, Alabama. His message, shared with The Seattle Times editorial board, cannot be diminished or dismissed, especially now, when we have a president who belittles our government’s highest institutions, who has shown a callous, reckless disregard for civil rights, women’s rights, immigration, health care, the environment and more. 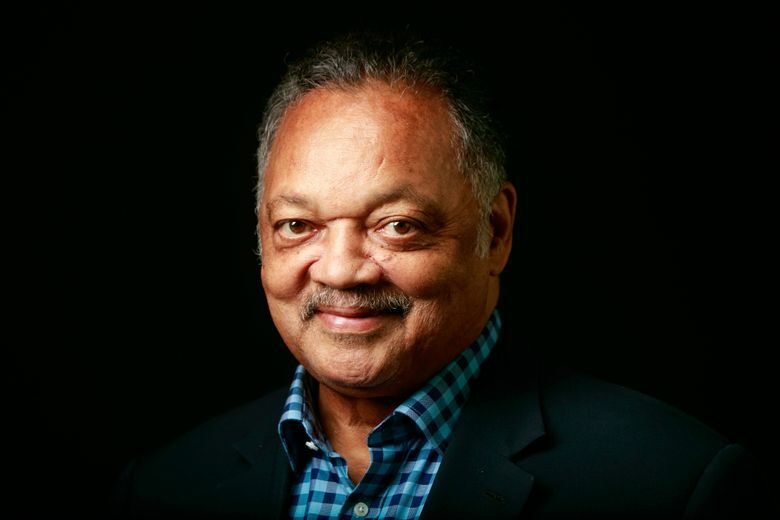 Jackson’s message, honed during his two presidential runs in the 1980s, is one of inclusion, of rebuilding America by healing the racial wounds of the past. It’s a message of a better, smarter America, one that he hopes the world’s richest man, Amazon CEO Jeff Bezos, will hear, and act upon. Last week, as he has in recent years, Jackson attended Amazon’s annual shareholders meeting to remind Bezos and the company’s board about the value of diversity — the 10-member board is all white. As a company, Jackson says, Amazon should hire more senior women executives; train and hire more African Americans, Hispanics and people of color — not just for warehouse jobs but for higher-paying tech jobs. The company should scale-up training for disadvantaged youth who “have the talent but not the opportunity” to benefit from the company’s meteoric rise. As Jackson sees it, Amazon is one of the great companies of the world and Bezos a CEO of integrity. But with Amazon’s immense clout comes a moral responsibility that includes expanding the company’s existing minority hiring practices. “Amazon has the opportunity to rebuild the nation, literally, as a byproduct of its main line of work,” Jackson says. “Every (Amazon) building has lawyers and architects and supply contracts, they have marketing and advertising — a whole range of things inherent in Amazon growth and the nation. The company should open up its board to new ideas, “to make it look like America,” he says. The tech industry has struggled with diversity, in part, because of racial disparities and disproportionate outcomes in our public schools and universities. America is failing too many children. Jackson’s blueprint starts with children: “Target them and train them,” he says, “that’s what you do. It’s not a problem of lack of capacity, it’s a lack of opportunity and training in the formative years of one’s life. “It’s about direction, not complexion,” he implores. Amazon, like Microsoft and Google, has added talent and diversity through H1-B visas, which allow companies to hire foreign workers in specialized fields. But Jackson is no fan of that. As Jackson left The Seattle Times building, heading to a meeting with the NAACP, two young African-American construction workers waited outside. They had spotted him going in and were eager to shake the hand of a man who never gave up on the promise of America.